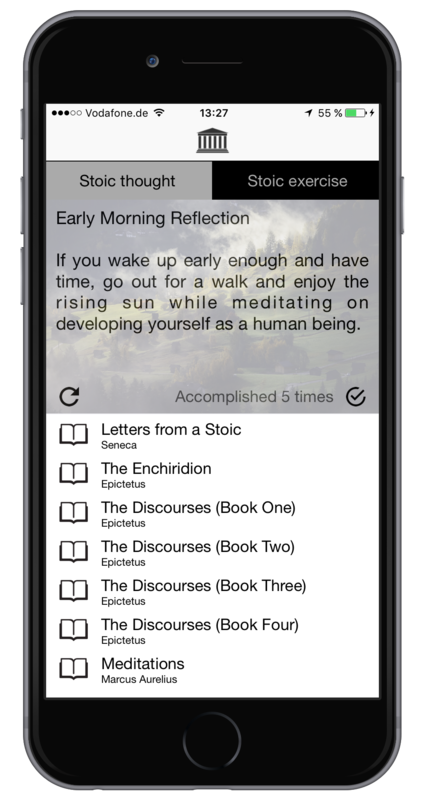 Stoic Meditations is designed for the stoic community around the world. Start each day with stoic wisdom. Do stoic exercises and collect accomplishment points. 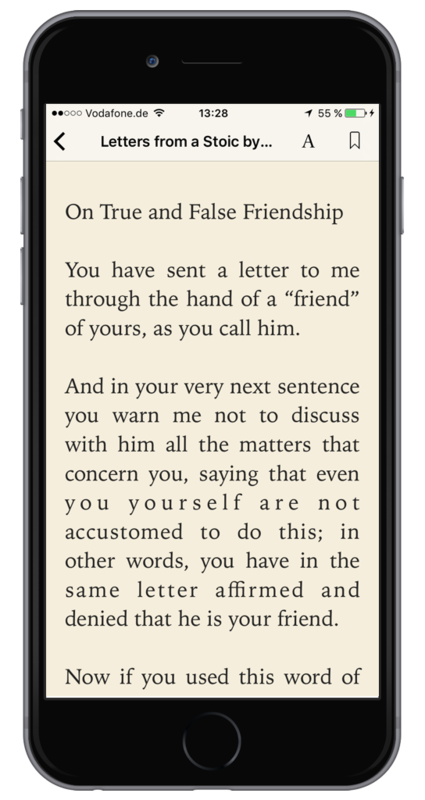 Finally, study stoic 2000 year-old writings, which are surprisingly fresh and current. Start your day with stoic wisdom. Wisdom is knowledge put into practice. Do stoic exercise and collect accomplishment points. 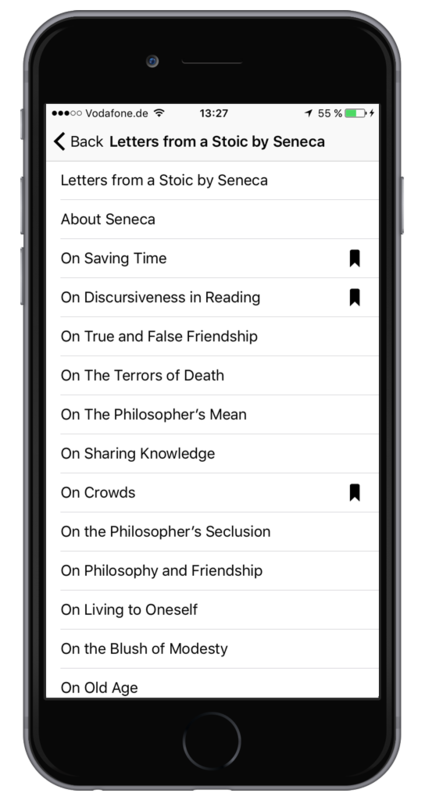 Get motivated to deepen your stoic understanding through thoughts and wisdom from 2000 year-old stoic classics, which you can browse in the app. 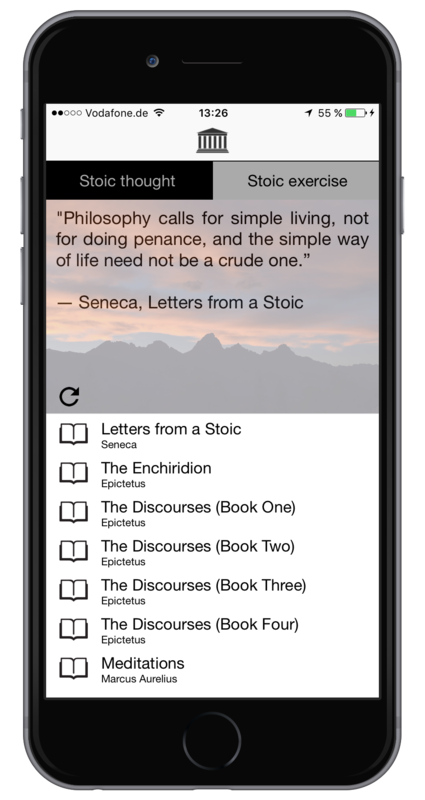 Tell us about your suggestions for stoic exercises, stoic thoughts, content or feature. You can send us event content you would like to see in the app. If you like it please consider a small donation. This takes less than 1 min and helps us paying for the development and maintenance costs.